Our little (and growing) international team sports some pretty decent talent. None of us are pros but we do o.k. Mat & Jochen in Switzerland, Jelle & David in Holland, Ed in Italy a couple of the guys in France and when Longo is feeling well, he can really crank out the speed and all of the rest of us. The list goes on…and keeps growing. Each of us does well more often than not. Plus, we all have our good days and our bad days. This post is about a few people on the team that are doing something that still has a very small list of competitors and it really helps if you have about 3 weeks of back to back “best days of your life.” It seems that this year might be a record year with 45 participants signed up to try for that string of fantastic days. Before I tell you what I’m rambling about I want to share something with you. A fact about our team that I find most interesting is that on our little team there are at least three of us planning to do one of the longest and most difficult mountain bike races on the planet in the next 3 years. 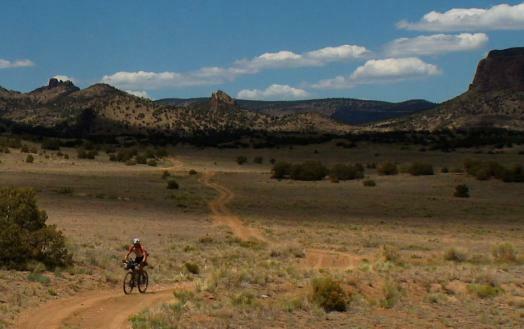 That race is called the Tour Divide. If you don’t know about it or have never heard of it click on the links that I’ve provided to go to the web site and look around. There’s a lot of info. there and I’ve shared some of it below. Pulled directly from their website, here is the info. on the race. Tour Divide was born of inspiration from John Stamstad’s watershed `99 Divide ITT, and the US border to border challenge known as the Great Divide Race (ca.`04). TD observes all the historical Divide racing controls save length. It pushes the envelope further by staging opening day racing from the top of the GDMBR in Banff, AB, where MTB-legal wilderness in Banff National Park serves as an immediate test of mettle. 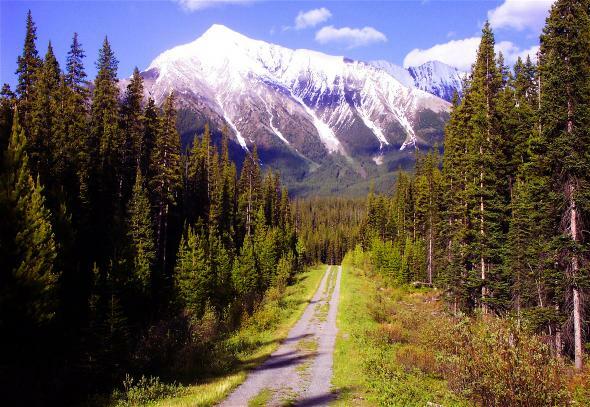 The Canadian section adds only 10% more trail, yet rewards riders with unforgettable geology, rugged terrain, abundant wildlife, and an international flair cycling has come to expect from grand tour racing. A little about the route…. 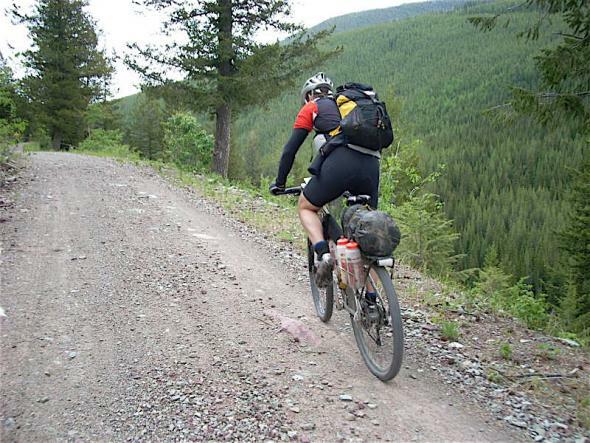 The GDMBR is the world’s longest off-pavement cycling route. It’s highlighted by long dirt roads and jeep trails that wend their way through forgotten passes of the Continental Divide. The route travels through Canadian provinces of Alberta and British Columbia, and the United States of Montana, Idaho, Wyoming, Colorado, and New Mexico (map). By route’s end a thru-rider will climb nearly 200,000 feet of vertical (equivalent to summiting Mount Everest from sea-level 7 times). Divide racers must not only be conditioned to endure weeks of consecutive 16+ hour days in the saddle, they need to bring other skills to the trail. The route is unmarked and circuitous, requiring navigational acumen. It travels through remote backcountry with Grizzly and Mountain Lion density. Intervals between services are frequently 100+ miles and demand calculated food/water resupply – or else. 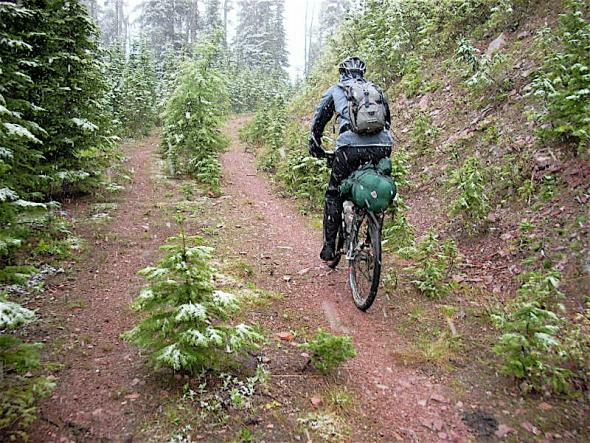 Riders must also find shelter each night or bivouac trailside. In minutes the Rockies’ dynamic mountain weather can wreak havoc on route surfaces, skewing even the most near-term travel projections. Of course, it wouldn’t be a grand tour without the geopolitics of negotiating the, albeit lower-security, international border crossing at Port of Roosville, Montana. If you’re interested, check out the rules. I think that you might be a bit surprised. Anyway…. Phil is doing it this year (lucky number 13) and will be our Guinea Pig (not the kind you eat). Next year is Davids turn and then in 2012, the year that I turn 50 it’s going to be my turn. Why do it? Well, I think it’s probably very different and possibly very much the same reason for each of us (that actually makes sense if you think about it). For me (as I can’t speak for the others), it’s about pushing my limits to the edge and beyond. Along with that, it’s about the adventure. I only get to go around once so I might as well freakin’ explore every possible avenue while I can. No? My 3rd reason, is that my friend David Guillot has heard me talk about this race for years and last summer he challenged me to do it with him in 2012 for my 50th. I love him and hate him for that, by the way. I know that Phil has been doing an immense amount of training in the past because I’ve read his blog and he mentions it on our team email list. David is an endurance cyclist as well and he’s doing the 24 Hours of Finale solo and from recent reports, it sounds as though he’s riding from Holland to the race on the edge of France & Italy and the ocean. I suppose, that means that this might be about my last ‘play year’ before I seriously start training, loosing weight and gathering the supplies, guts and who knows what else to be able to pull it off. Two things that you can do as an interested spectator is to follow along via podcast and/or watch the racers progress transmitted from their SPOT emergency transmitters. Also, if you’re really interested, there’s now a movie out about the race. I would guess it will be available to buy as a DVD soon but for now…. Ride The Divide Movie Trailer from Ride The Divide on Vimeo. Check the previous links for movie previews. It gives me chills watching these. I suppose that’s a good thing. There’s a page with Letters of Intent to race. Phil’s is done in classic Phil Fogg panache…. So, like I said, Phil is first up and we’ll all be watching and cheering him on from the ‘safety’ of our office chairs, couches and bikes seats. We wish him well and next year David as well. Phil… good luck buddy, we’ll be thinking about you a lot and cheering you on the whole time! As some of you know, 2009 was a big year for us in many ways. We added a few new members from various parts of Europe. Those new members went on to do some pretty awesome events and also earn some damn impressive results along the way. It looks as though 2010 is going to be equally as exciting in that we’ve added some new members and some more are reported to be joining as well. We’ll announce them as soon we are able. As far as sponsors go, we’ve made a couple of changes and also kept many of our 2009 sponsors as well. We LOVE our sponsors. Thanks in advance for helping us have a great year! We have people competing in some really great events for this year (i.e. The Great Divid Race, SiS, 24 Hours of Finale and so many more). Our goal on this blog is to keep our friends, family and sponsors updated on our activities. We’ll do our best to accomplish same. So, keep checking back for updates.